Conventional vs. Synthetic Oils: What's In The Bottle? For years, the motoring public has been told “bigger is better” with regards to engine size. But today’s “en vogue” powertrain of choice features less displacement and is typically missing a couple of cylinders (2.0L inline fours and 3.5L V6s) compared to what we thought we needed. The addition of at least one turbocharger makes the smaller mill act more like a larger V6 or V8. The combination of a turbocharged, small displacement package pays off in improved fuel efficiency and lower emissions, but some tradeoffs may require extra maintenance or runaround solution for an OE issue on specific engines. Most turbocharged engines (and supercharged) utilize an intercooler for its ability to cool the incoming air charge before it is compressed and ingested into the engine. Turbochargers run off exhaust gas to spin the turbine that is connected to the compressor. In theory, it is a very effective way to increase the density of the air, but in doing so, heat also builds up and takes away some of the efficiency. The intercooler lowers the temperature of the air before it enters the cylinder. But in some applications and regions of the country (i.e., Florida), condensation tends to accumulate in the intercooler, creating a misfire or hesitation at idle. Oil can also build up in the intake tract if there’s too much positive crankcase pressure. An intercooler, or charge-air cooler (CAC), improves volumetric efficiency by increasing intake air charge density through constant volume cooling. Ford has built and sold more than 2 million vehicles with its EcoBoost engine platform installed, and nearly 500,000 of them are 3.5L V6 EcoBoost engines. Some F-150 owners have complained of a mysterious misfire on these engines. 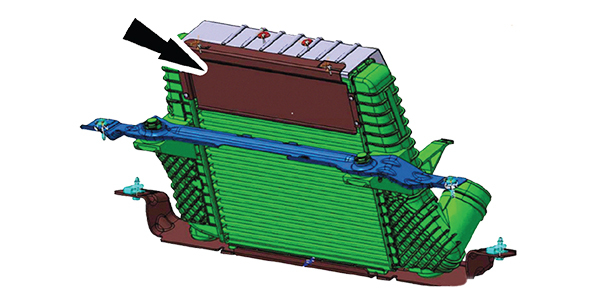 Condensation can build up and be trapped in the intercooler on certain F-150 models with the 3.5L EcoBoost V6. Under hard acceleration (i.e., boost) or at highway speeds, an intermittent stumble and misfire reportedly can occur during high humidity or damp conditions. Ford has addressed the problem by removing the air deflector from the top of the intercooler and installing it on the bottom to help vaporize the condensation. Before repositioning the deflector, confirm the condition using freeze frame data that shows the problem occurred above 2,500 rpm or 100 percent load. Ford updated the intercooler to prevent this problem on some newer models. According to some internet forums, the way to cure the condensation issue on Eco boost engines is to drill a small 1/16-inch hole in the intercooler inlet. While this may allow condensation and oil to escape before it creates a misfire condition, it will also leak fluid (oil and water). It is a very inexpensive solution. Some internet folks go so far as to thread a small screw into the hole so it can be drained periodically, thus not allowing any leaks during engine operation. A better solution for an intercooler with condensation buildup is to install a catch can or oil separator that is baffled and vents back into the intake. Installing a catch can is a relatively straightforward process, and the aftermarket offers several options. One option we found for the EcoBoost reroutes most of the vacuum lines to the catch can and pulls vacuum from the turbo inlet. The catch can solution is not without drawbacks as your shop, or the customer, must drain the catch can periodically (around every 3,000 miles or so). A good catch can setup should recirculate the oil vapor back to the intake and won’t affect any emissions components or be vented to the atmosphere, which would also leave an oil-coated engine bay. Reports of oiling and condensation problems have been on the uptick since many new cars are either turbocharged or supercharged today. Any performance modifications may increase the positive crankcase pressure beyond what the stock PCV is designed to handle. It will also increase the amount of blowby past the piston rings. If you pull the inlet hose from the intercooler and find oily gunk leaking out, the culprit may be a clogged or restricted PCV system. A clogged system, if left unchecked, will likely create a misfire, leave carbon deposits as oil or a greasy residue is sucked into the cylinders. 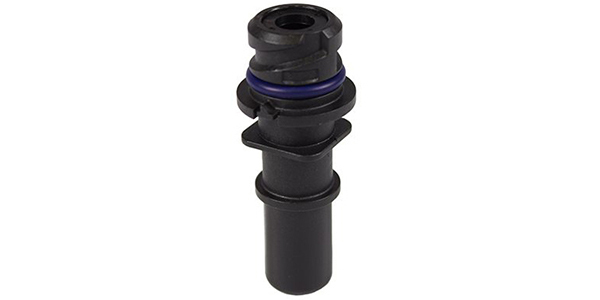 The PCV system is more than just a check valve on some newer engines. More manufacturers are building the PCV into the valve cover and are controlling it with the ECU. And on some of the turbocharged applications, an oil separator is incorporated into the valve cover with the PCV system. Examples of these can be found on Volkswagen/Audi TFSI engines. When misfires occur on these engines, they are often the result of the diaphragm seal failing on the oil separator. 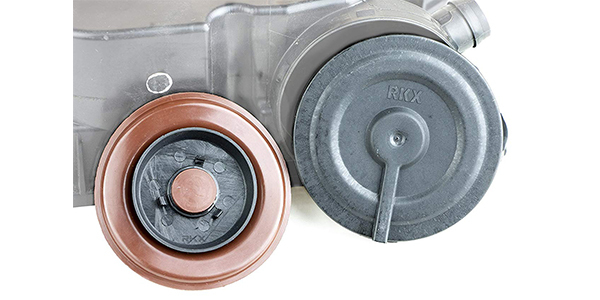 Some aftermarket manufacturers offer a replacement diaphragm. Otherwise, the whole PCV unit must be replaced. In most street driven applications, the original PCV system should be able to handle the vast majority of crankcase ventilation unless there’s neglect to regular maintenance. Boosted applications, especially beyond stock, can require more airflow for crankcase vapors to escape, which could be solved by simply increasing the I.D. 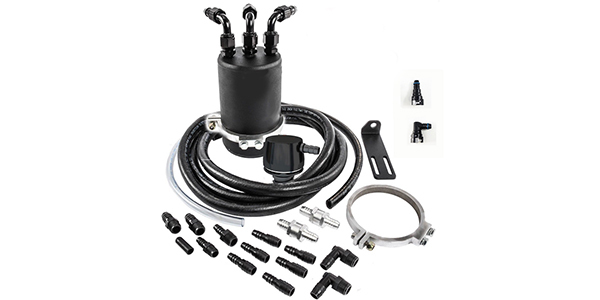 of the hoses from the PCV to the valve cover or by adding another line to reduce pressure.